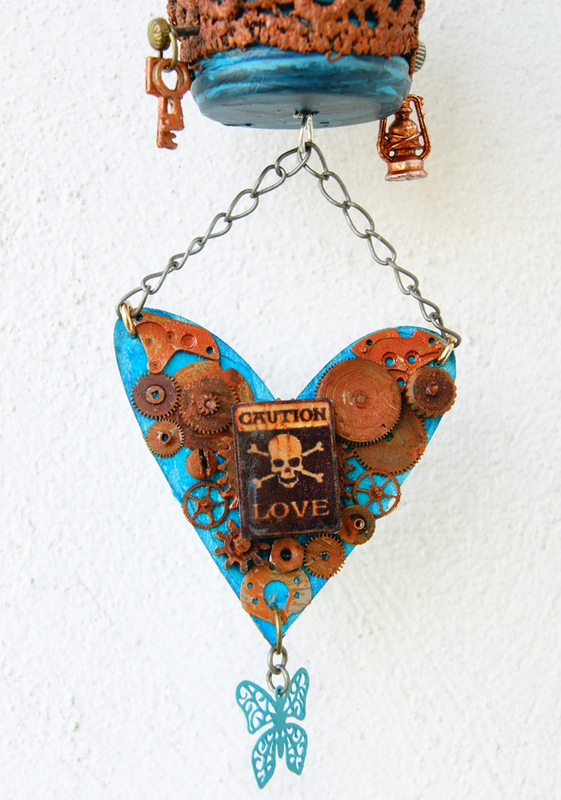 "Shades of Grey, Blue and Rust"
is this month's challenge theme and we want you to exclusively use all shades of grey, blue and rust you can come up with (and choose to use with your creations). Black lines from stamped images or quotes are allowed - but no other colours! please, welcome wonderful Laura from Laurart to the team! I am so excited that she said "yes" when I invited her over to join us and artistically explore the steampunk world with us! I really adore her mix of shabby chic, vintage and elegant steampunk, because it shows a totally different approach to it - which I really love! I am so pleased to be here as a member of this wonderful Design Team! 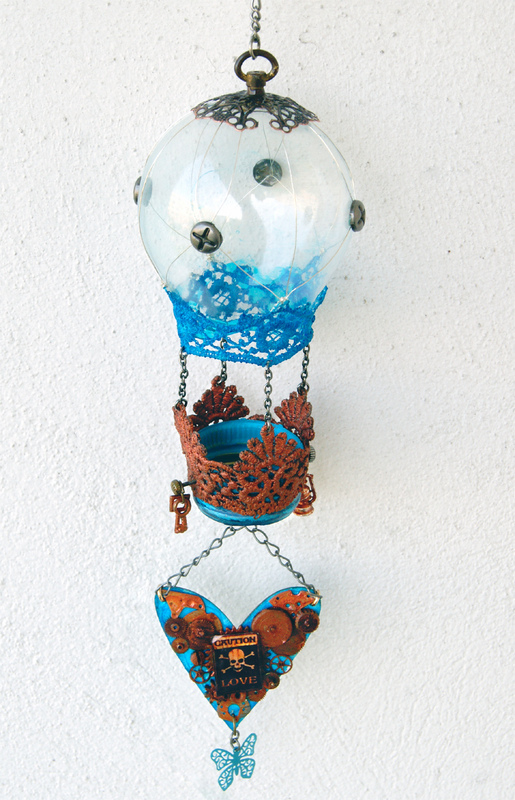 I have always been fascinated with Steampunk and have enjoyed taking on the challenge of using it in my designs. I must admit my usual style doesn't seem to fit in with Steampunk - I tend to have a more feminine and vintage style, but I find that Steampunk adds a nice twist to my work and it is fun too! As a result of embracing this style I have found such enjoyment in tackling a more grungy style and this has been so much fun. I look forward to working with these very talented designers and I hope that you enjoy watching my Steampunk Journey along the way! you today a canvas I made in those gorgeous shades of Grey, Blue and Rust. Gladly I managed to lay my hands on the awesome Sizzix Alterations arch die at a sale recently - and this is my first project I used it on! 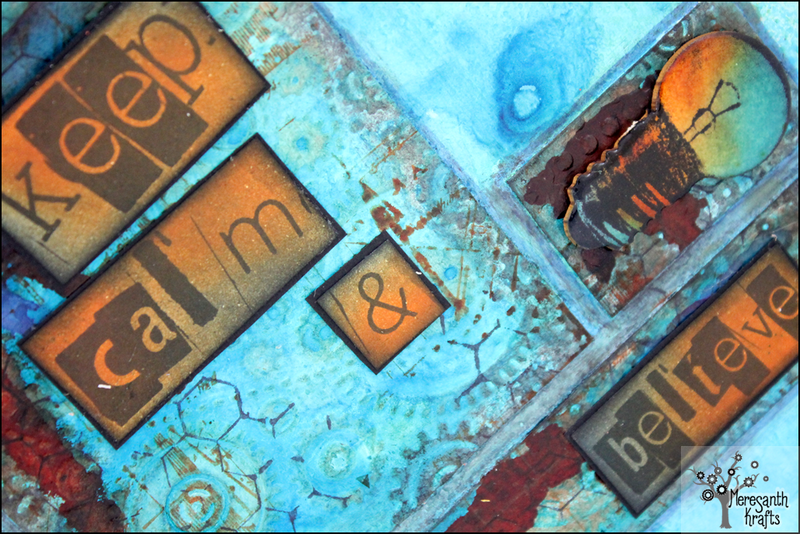 I had a ball playing around with distress crackle, paints, cogs and gears, Tim Holtz papers and idea-ology and the tones from our challenge's colour scheme! 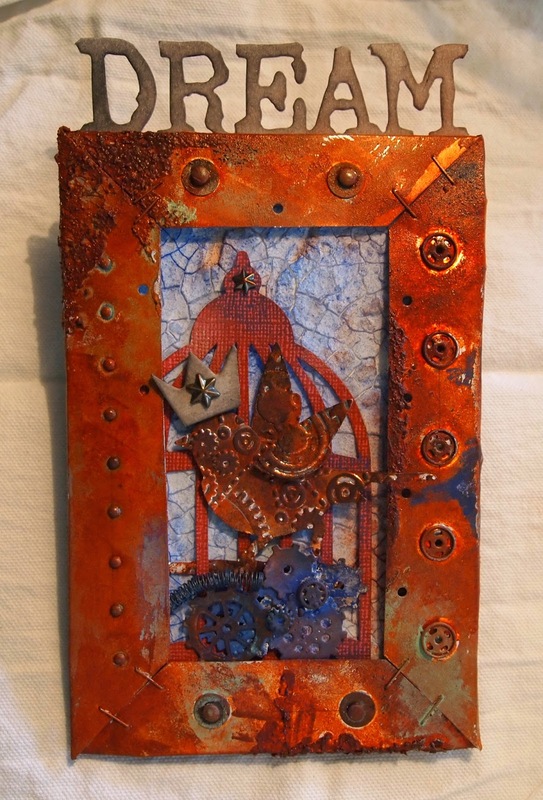 To get eligible for the prize win all you have to do is join in the steampunk fun and enter a creation to our challenge that follows the theme and our general challenge rules (which can be found at the top of the page and are quickly read). 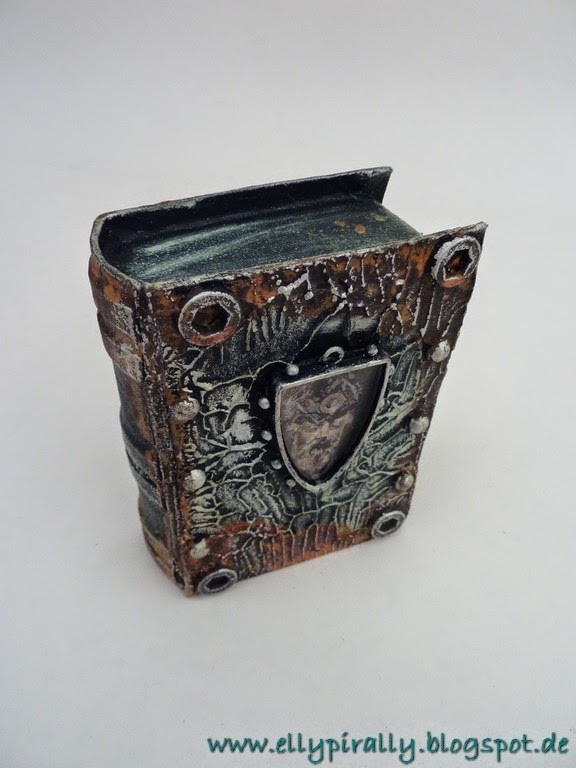 As always we offer two separate collections for your projects: one for the 2D makes (tags, cards, art journal spreads,...) and one for the 3D creations (altered items, boxes, jewelry pieces, ATBs, ...). So make sure you enter your project to the right one ;). Our inlinkz collections are to be found over here. 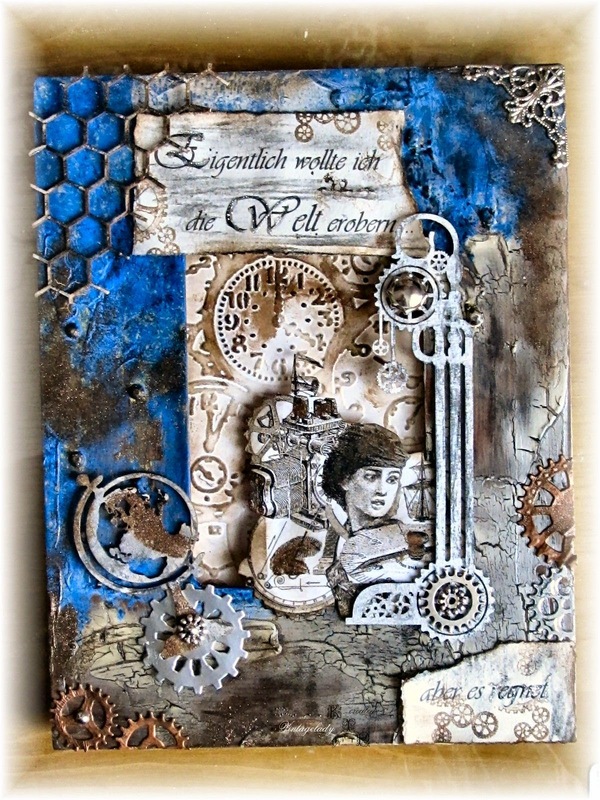 Top 3 and Prize Winner - "Heavy Metal"
A warm welcome, dear steampunk friends! You're just in time to find out who made it to our Top3 and who is to win the ten Euro voucher sponsored by Iris from Irishteddy's! Huge congrats to all! And to all the other players as well - voting was really close this time and the SASPC team are so proud of all the wonderful artistic projects you entered! Thank you all so much for playing along with us! Please, Top3 ladies, feel free to grab the Top3 badge for display on your blogs! 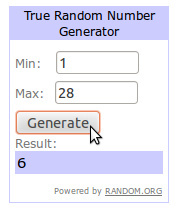 Yay, congrats on the prize win, Julia, and happy shopping! Please, contact us for further details so we can send your prize to you! 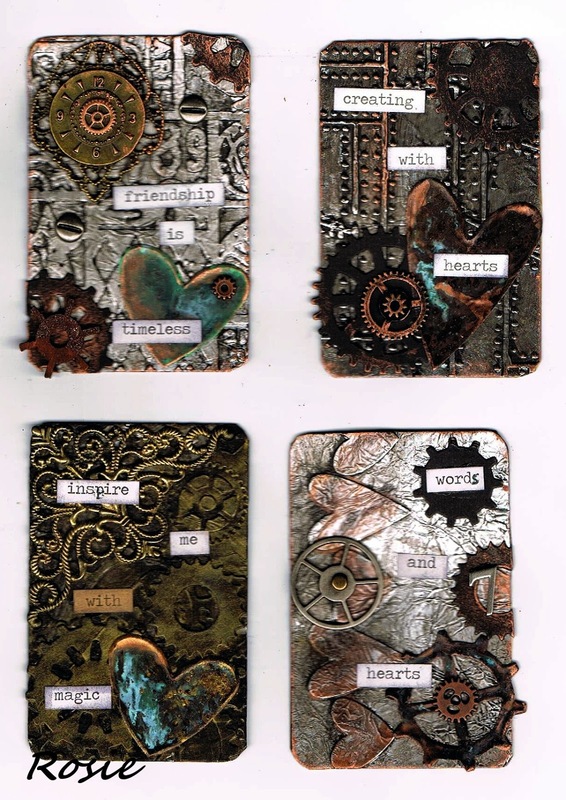 Don't forget, dear Steampunk friends: there's more inspiration to come on the 15th, when Team B will show their projects for our current "Shades of Grey, Blue and Rust" challenge (which is open til the end of the month)! For more details and to get to the inlinkz tool, click here. We look forward to seeing your takes on this one! Servus and welcome to the start of our new challenge for June, dear steampunk crafting friends! Claudia here to bring to you our new challenge and a bundle of awesome steampunk inspiration! Once again we have some awesome creations in store for you as well as a slight change to our blog schedule and the introduction of our last new DT member: Laura from Laurart! Yay! I am so happy that she accepted my invitation and said "yes" to becoming part of our wonderfully creative and relaxed team! 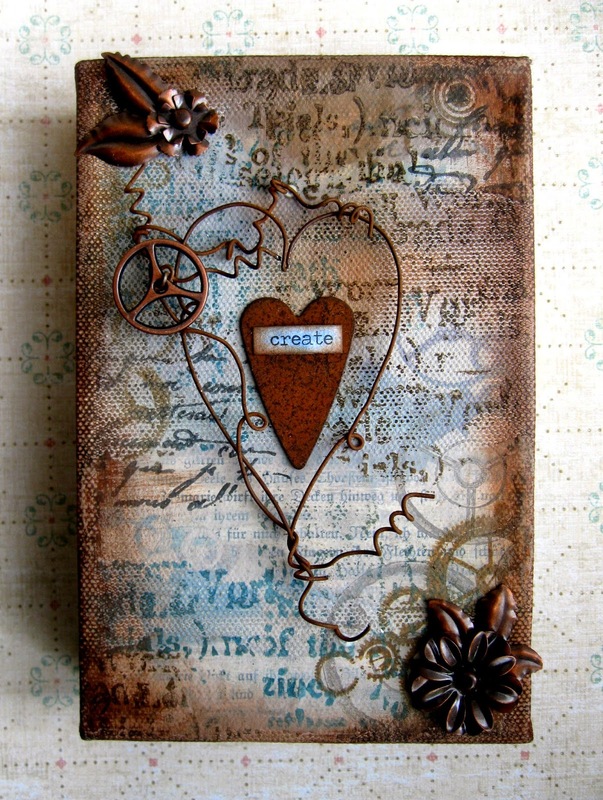 I adore her "shabby chic steampunk" creations and especially her use of wire and crackle texture! Welcome to the team, Laura! We are so happy to have you with us! Laura will be introduced to you in detail on June 15th - which will be the date for presenting the makes of Team B from now on. We decided to change to two teams for keeping you inspired throughout the whole month - so in the future there will be one challenge post on the 1st of each month and another on the 15th (which is also meant as a challenge reminder and new inspirational impulse). Spotlight/s and sponsor announcement will be posted somewhere inbetween...so keep checking back from time to time to stay up to date! wich means that you can use any shades of grey, blue and rust there are...but sorts of all three must be seen with your creations. 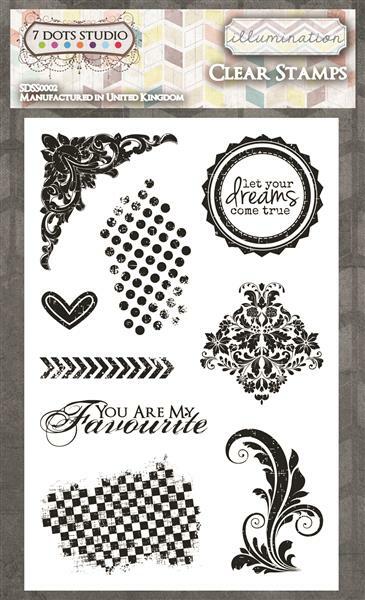 We do allow black lines from stamped images and/or words used on your makes of course. 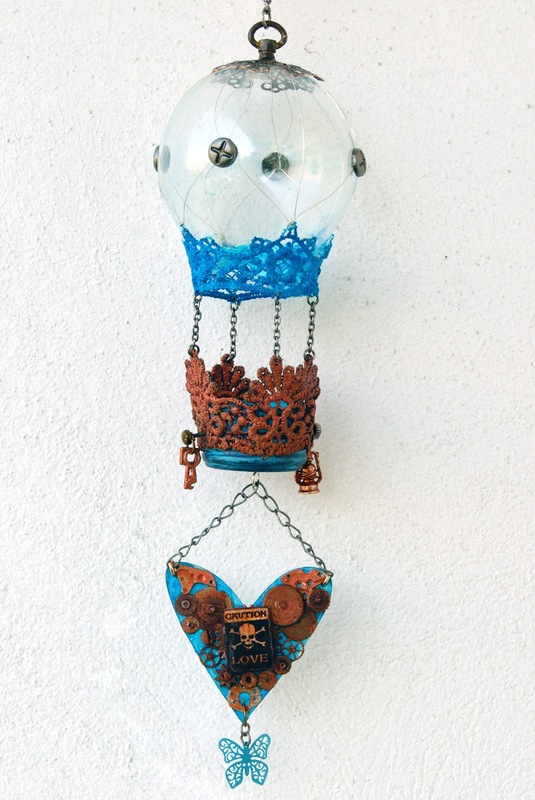 Remember: these have to be steampunk creations (at least have a light twist towards steampunk so we can count your entries in for Top3 and the prize draw) and must follow our general challenge rules (which aren't a lot - so giving them a quick read should be managable ;) . Of course we also have a special guest designer with us this June - it's Zoja from Bo Licho Nie Spi ! If you don't know Zoja's artwork yet, I highly recommend you visit her blog! 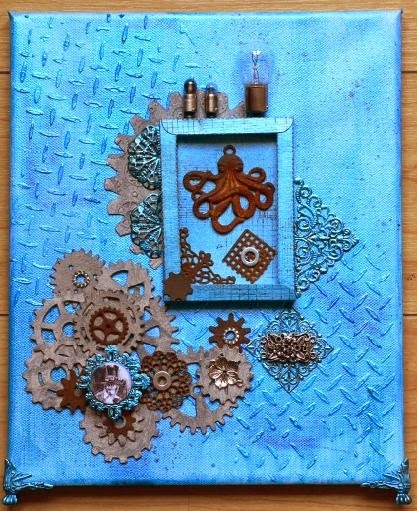 An altered canvas: gesso with stencil for texture, acrylique metal paint, a carboard frame, cogs, metal charms, light bulb and a beautiful rusty octopode. I finished my canvas with 2 feet. 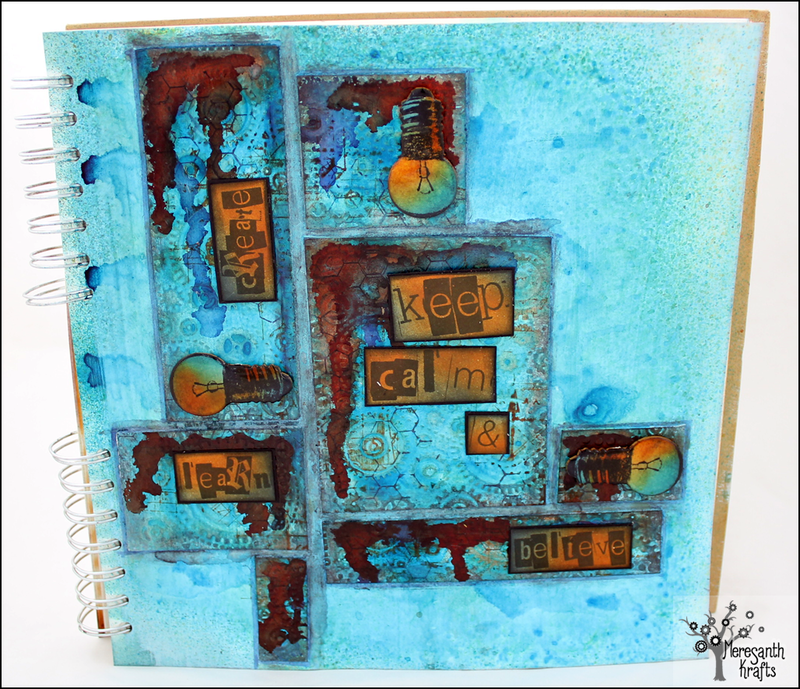 This self-inspirational art journal entry was created with embossed paper 'tiles' as the base, mists, Distress Inks and alcohol inks as well as a beautiful 3rd Eye light bulb chipboard and stamp set and Glossy Accents. You can see some 'the-making-of' shots and read about the process on my blog. For further inspiration check back on June 15th, when Team B will show their takes on this month's challenge theme! As usual our challenge is open for the whole month and we will showcase one to two spotlights from the entries during that month and reveal the "secret" about this month's sponsor around mid-month. Enter your projects to either the 2D or 3D collection below. If you want to know who made it to the Top3 for our last challenge or who is the prize winner check back next Saturday to find out!